The Village of Wilmette Web site, www.wilmette.com was created to provide the public with information about city government services and events. The Village Manager’s Office manages all information and applications that appear on the Village’s Web site. Promotion of Village-sponsored events and projects will be allowed at the discretion of the Village Manager’s Office. The information and features included in Wilmette’s Web site have been compiled from a variety of sources and are subject to change at any time without notice. 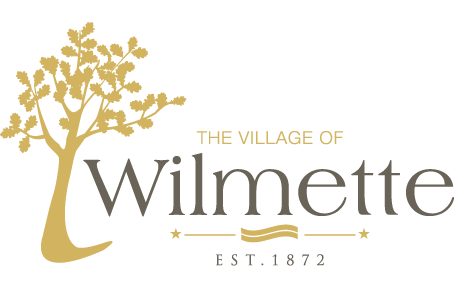 While we do our best to keep the Wilmette Web site current, users should be aware that the information available on this Web site may not be timely, accurate or complete, and may not reflect official positions of the Village. Please feel free to notify the Webmaster of any errors that come to your attention as you use this Web site. Reference to any product, process, publication or service of any third party by trade name, trademark, manufacturer, or otherwise does not necessarily constitute or imply its endorsement or recommendation by the Village of Wilmette. Trademarks contained on this Web site are the property of their respective owners. The Village of Wilmette has provided links to public and private Web sites that may be of interest to the community as a whole. Please be aware that Village of Wilmette does not control or guarantee the accuracy, relevance, timeliness, or completeness of this outside information. The Village does not necessarily endorse the views expressed or the facts presented on any of these sites. Furthermore, the Village does not endorse any commercial products that may be advertised or available for purchase on any of these sites. All links are subject to the approval of the Village Manager’s Office. The Village of Wilmette reserves all other rights.